Lots of news about Facebook's Initial Public Offerring (IPO) with the company filing papers this afternoon to raise at least $5 billion and begin to sell stock in the spring. Facebook has about 3,000 employees in Silicon Valley and with the IPO many will become millionaires. Good news all around - good for the employees, good for surrounding businesses that they frequent and really good for the entire state of California. More of this in a minute. Most know that Facebook was started (and first incorporated as Thefacebook) by Mark Zuckerberg and some classmates when he was a student at Harvard in February 2004. Shortly after the company was started though, Zuckerberg moved it to Palo Alto, California. At the time I was on the Massachusetts Networking and Communications Council Board and I clearly remember members lamenting the loss. Nobody knew how huge the company would eventually become but member guts were telling them it was going to be big. California's Silicon Valley is a magnet for tech companies and they've done well over the years. As an example - in 2006 - Google went public, resulting in huge tax filings. To give you an idea how much money we're talking about - in 2006, sixteen (yes only 16 people!) high-level Google employees cashed in 9 million shares valued at $3.7 billion which meant they owed the state (again just 16 people) around $380 million in taxes. Resulting Google tax money was huge for the state allowing the Governator (Arnold Schwarzenegger) to spend big bucks on roads, schools, etc and help him get re-elected. That Google IPO was massive in 2006 and Facebook's will be a lot bigger. On that first day in 2006 Google's market capitalization closed around $27 billion. Facebook's could be up to 4 times as large putting it over $100 billion. Simply put - we (Massachusetts) lost it. We had Facebook in our state and we lost it. We lost the employees, we lost their business and we lost the tax revenue. Am I oversimplifying - perhaps. Can't deny though - huge gain for California, huge loss for Massachusetts. I do not think Massachusetts would have had enough of a “cool” factor to keep a company like Facebook, even Boston could not compete- New England weather, cold winters with snow and humid summers. I think the Silicone Valley is too huge draw for many reasons. The companies that are there and the history of the area - HP garage, Apple, Google… The California cool culture is irresistible. The weather in that part of California is fantastic all year. The proximity to San Francisco, winery’s etc. is a huge plus. Also the density of “techy-geek” types in the area makes being a geek now very cool. My sister lives in Palo Alto so I visit every year. It has turned into a unique city with Stamford as one of the gems, the restaurants, and the feel to the place are unique. Now the big issues are housing and funding the schools. Real estate is sky high, a postage size lot cost a fortune. The public schools out there are still in real trouble even with all this start up money, the arts are cut and they expect parents to kick in at least $650 per kid voluntarily into the system – they publish who gives, lots of pressure. The competition at the schools is fierce as the genetic makeup of the community is very intellectual with high expectations. Your average and above average kid is going to have a tough time. It has become very elitist and that all may be a turn off some day. I agree 100% with you. I get out to the bay area 4 or 5 times a year and was just in Palo Alto 3 weeks ago. It's a different culture / buzz. In the 70's and 80's we did have something going in Mass 128 area but we lost it. Cambridge is hot but limited space to grow. 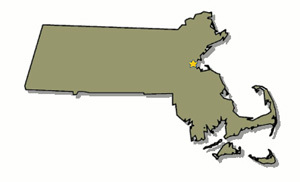 I've got a lot of hope for Holyoke and the area surrounding the High Perf Computing Center ( http://www.mghpcc.org/ ). We've got to grow some of our own tech businesses here and keep them here. It's going to take some time.